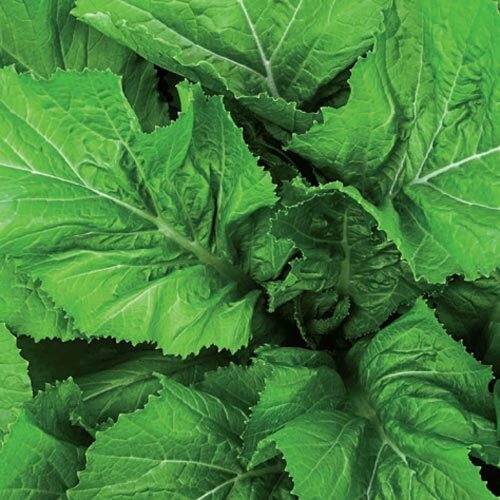 Florida Broadleaf Mustard Green | Gurney's Seed & Nursery Co.
Spacing6 - 12 inches between plants; 15 - 24 inches between rows. FoliageA mild-flavored mustard producing large, broad, rich green leaves. CommentsSmooth leaves; easy to rinse clean. Upright habit keeps leaves out of soil and easy to pick. Very large, smooth leaves are easy to rinse clean. Susceptible to bolting. Widely adapted; on State Extension Service list of recommended varieties in 11 Southeastern states. YieldVigorous grower produces multiple harvests.